In this second film from the George Lucas trilogy we find Luke Skywalker becoming a more mature Jedi warrior ready to fight the forces of the Dark Side. The film opens three years after the Rebel Alliance has destroyed the Death Star, home of the evil Galactic Empire. Princess Leia, Han Solo, Chewbacca and droid C-3PO have escaped from the icy planet Hoth while Luke Skywalker seeks out Jedi Master Yoda to continue his training in mastering the mysteries of the Force. The evil Lord Darth Vader is in hot pursuit of Luke’s companions who eventually become captives. While Luke contemplates a choice of saving his friends or continuing his Jedi training, the story takes twists and turns with new characters and scenarios. Lando Calrissian (Billy Dee Williams) ruler of Cloud City must deal with Jabba the Hutt, a monstrous space creature and bounty hunter Bobba Fett in deciding the fate of Han and Leia. Eventually, Luke faces a long awaited confrontation with Darth Vader and engages in an exciting light saber battle that ends with dark and unexpected consequences as well as startling revelations about Luke’s true identity. The chilling ending sets the stage for a follow-up sequel to this galactic adventure. 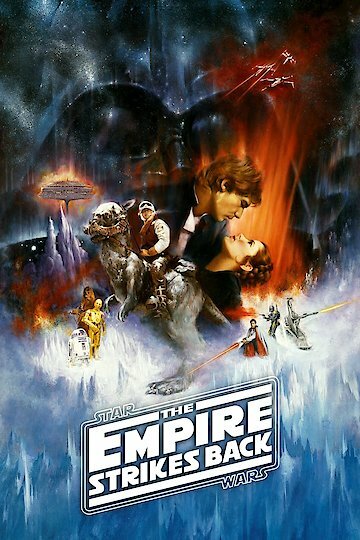 Star Wars Episode V: The Empire Strikes Back is currently available to watch and stream, buy on demand at Amazon online. Is a Bob Fett Movie Going to Happen? Fans are holding out hope for the long-awaited project. The original Mr. Calrissian will return in Episode IX.